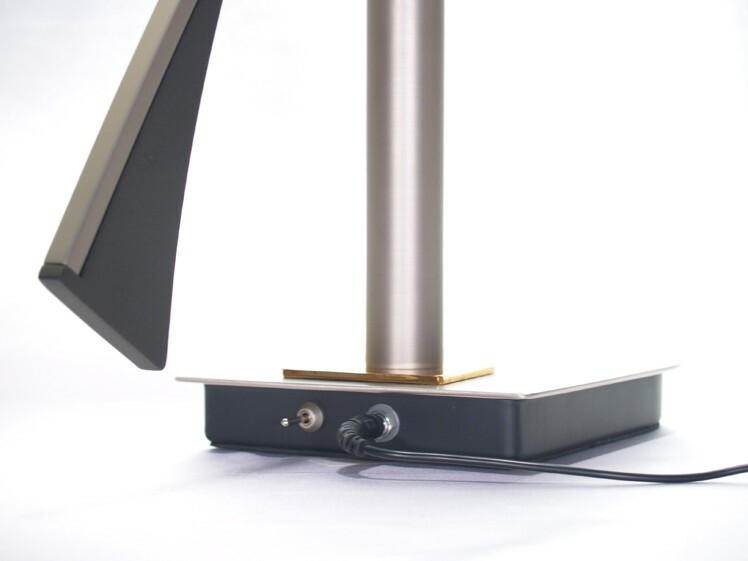 The Elegance is a high brightness LED task lamp from Berryessa Designs. 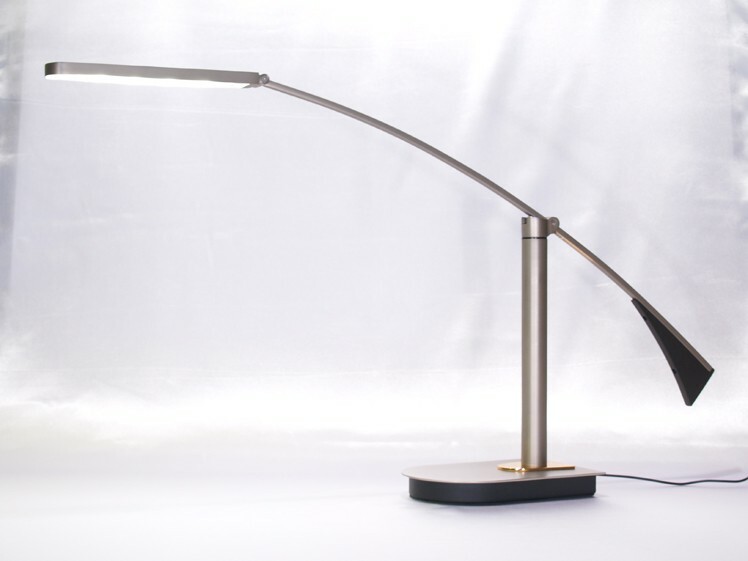 The exterior of the lamp exhibits clean lines and elegance a perfect fit for your home or office. It is solidly constructed with a tip-resistant base. The light source consists of high brightness, high efficacy white LEDs emitting a soft warm-white light (CCT: 2600~3700K) with excellent color rendering index (>80). Together they consume just 10W of power while emitting an equivalent number of lumens to a 22W compact fluorescent lamp or 100W incandescent bulb to the desk surface where it is needed. Rated life span of LED is 50,000 hours to 70% brightness translating to over 17 years of lighting service based on 8 hours use per day.